This is my passion. Herb-o-logy is my company. Join me on the journey to a more natural life style. 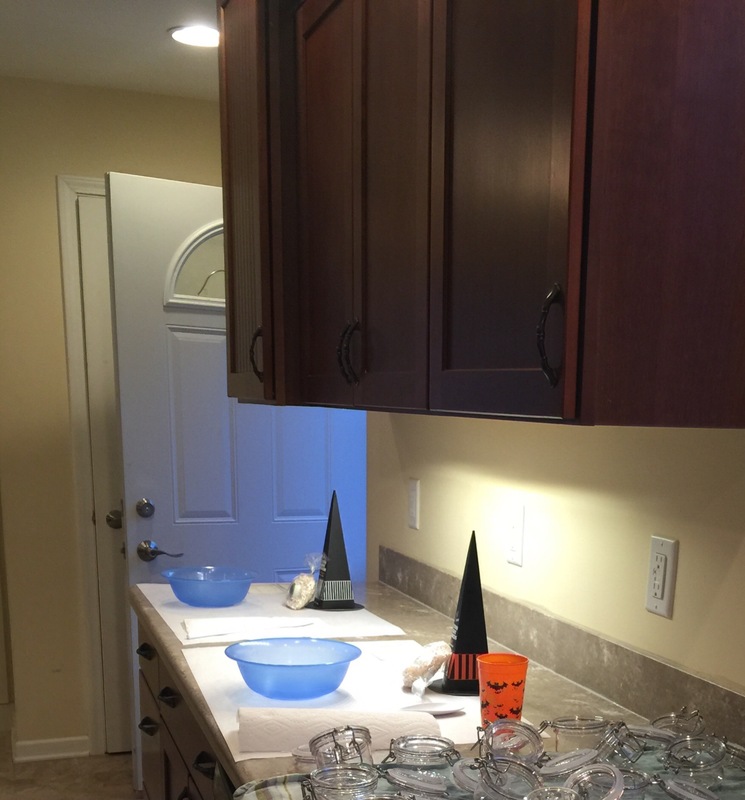 On the eve of Halloween all was prepared awaiting guests for the sugar scrub party! 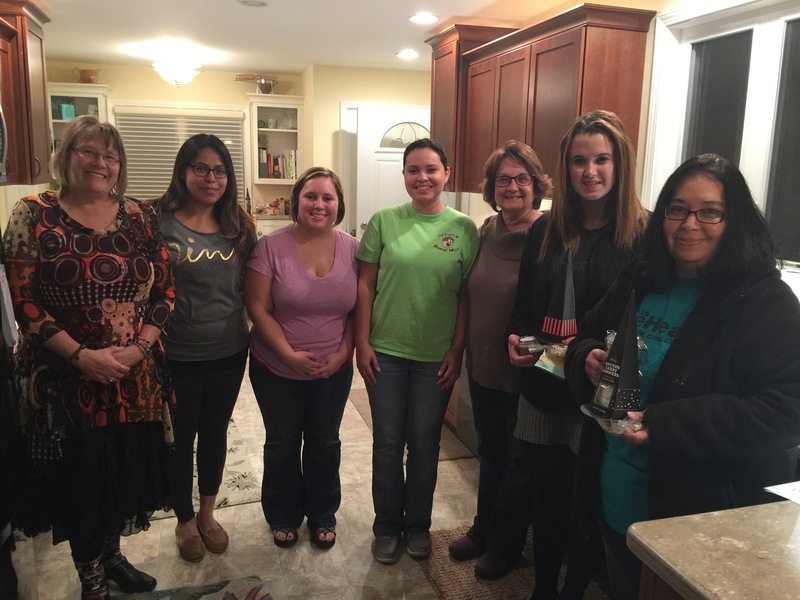 Five brave souls came to this ghoulish event to brew some fantastic skin care! First we sat down to discusse some basics involving sugar scrub formulation and ingredients. Then we tried out some oils to get a feel of them on our skin. They were given two recipes to pick from then they were off, working like made scientists on their skin scrubs! Do I spy a little local wine in this picture? Myself and my fellow brewmiester helped as needed but these ladies needed no assistence! We had partook in some wicked treats and some equally magical raffle prizes. Here is our class picture! We will be having another scrub party soon so stay tuned to the herb/o/logy face book page for further details! See you on the garden path!